This is one more of the “goodbye wines” and it surprised me. 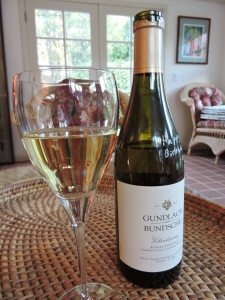 I had heard good things about the wine and expected it to be somewhat complex with overtones of butterscotch and caramel (perhaps because of the winery’s name). But it turned out to be lighter and more mellow than I anticipated. The wine exhibits tones of citrus blossom, layered with minerality. The mouth feel is soft and round and the style is clean. The vineyard is planted in gravel-rich, clay loam soils. The cool climate produces a mineral driven chardonnay. The wine is 14.3% in alcohol. The suggested retail price at the winery is $27.00 but the wine can be found online for around $20. This was not a chardonnay that had the characteristics I’m typically looking for in a wine and to be honest, the minerality threw me off initially. I had to taste it several times to really distinguish the flavors. But, we are headed to Sonoma soon for wine tasting. The winery has a good reputation and if time permits, I’ll make my way there and give their chardonnay another chance. Today, I’m tasting two different chardonnays from La Crema, both from the “goodbye wines” that my former co-workers gave me when I left the full time grind to pursue blogging and travel writing (see the picture and story behind the “goodbye wines”). It turns out that La Crema actually produces eight different chardonnays, something I didn’t know. The two I am reviewing today are the 2012 Sonoma Coast Chardonnay and the 2013 Russian River Chardonnay. Now I know you purists out there would say that is not a fair comparison to pit a 2013 against a 2012 considering how different each year’s growing conditions can be. But, hey, that’s what was in my gift box and I think it’s a good way to see how the Russian River style compares to the Sonoma Coast. Both wines were lightly golden in color and neither displayed those oaky, creamy, buttery characteristics that I love so well in a chardonnay. But, with that said, they were both enjoyable and I would happily drink them again, especially the Russian River chardonnay. 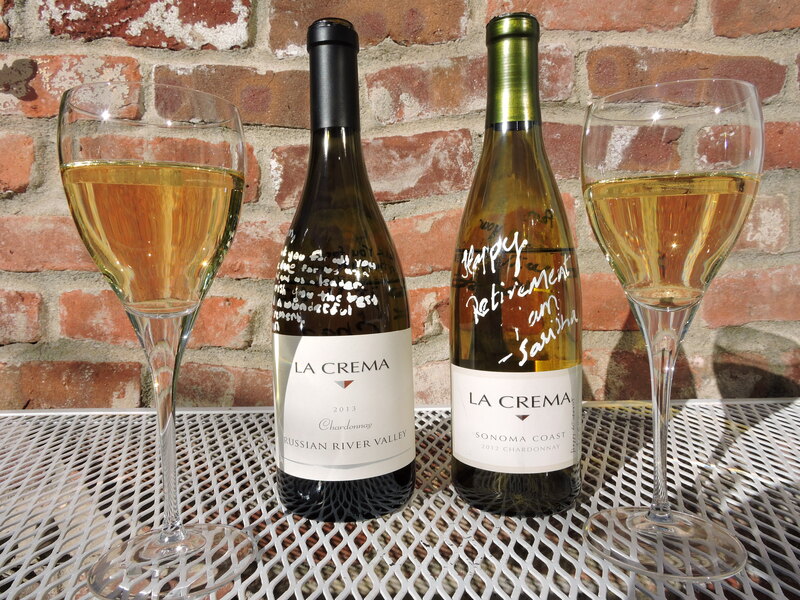 The other chardonnays that La Crema produces are the Nine Barrel (La Crema’s high end chardonnay from the Russian River Valley), the Anderson Valley, Arroyo Seco (from the Monterey wine growing region), Los Carneros, Monterey, and Saralee’s Vineyard (also from the Russian River Valley). I’ll be heading to Sonoma County next month for wine tasting and will definitely plan to stop by La Crema. Look for a future review of their additional wines when I return. Both wines are available online at the La Crema website. The Russian River retails for $30 and the Sonoma Coast sells for $23.00. However, both wines are also readily available in Northern California grocery stores such as Safeway and Raley’s and wine retailers for a price significantly less than the winery website. We'll notify you each time we post a new review. We respect your privacy and never share our distribution list.